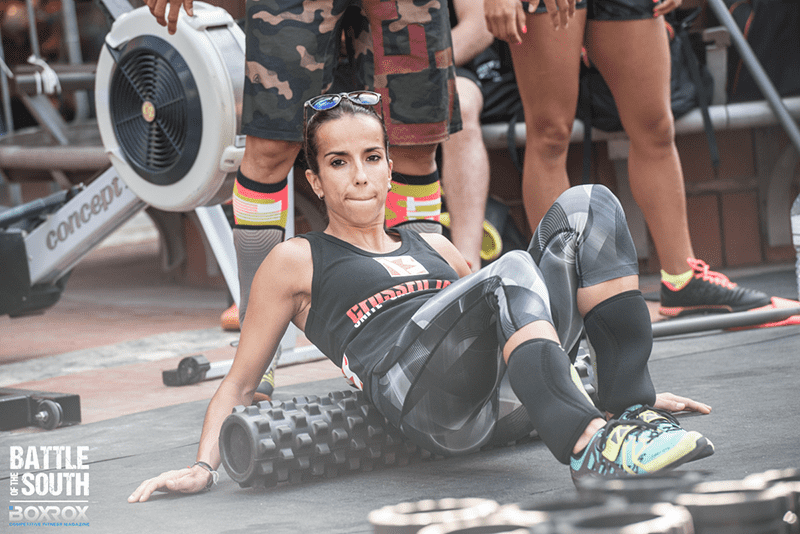 Self-myofascial release, also known as foam rolling, has transformed from a once mysterious technique used only by professional athletes, coaches, and therapists to a familiar everyday practice for people at all levels of fitness. Recent information, technology, and affordable products have introduced an increasing array of training and recovery methods to the everyday athlete. WHAT IS FOAM ROLLING AND HOW DOES IT WORK? For many, deep tissue massage is easy to understand. Ideally, an individual is able to work out the knots in their muscles, and it is commonly known this process may be uncomfortable and at times painful (if you’ve ever tried it before, I’m sure you can testify!). Self-myofascial release provides the user the ability to control the healing and recovery process by applying pressure in precise locations, because only they can feel exactly what is happening. Self-myofascial release is a decorative term for self-massage to release muscle tightness or trigger points. 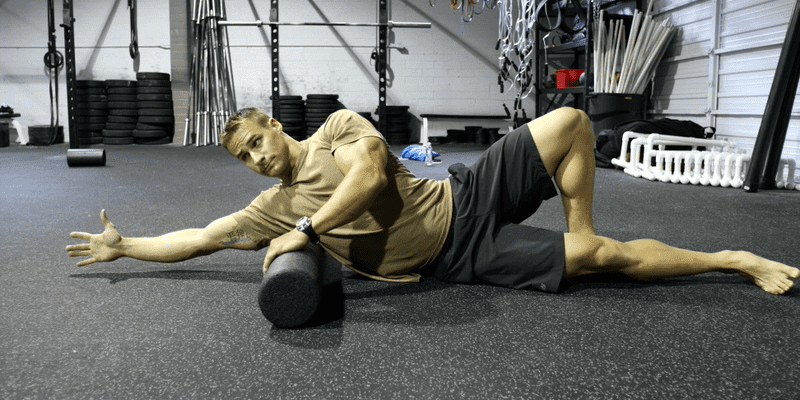 This method can be performed with a foam roller, lacrosse ball, Theracane, or your own hands. By pressing specific points on your body an athlete is able to aid in the recovery of muscles and assist in recurring them to normal function. Normal function means that your muscles are elastic, healthy, and ready to perform. Trigger points are specific “knots” that form in muscles. They are unique and can be identified because they will feel painful when pressed. Fascia is a specialised system of the body that has an appearance similar to a spider’s web or a sweater. Fascia is very densely woven, covering and interpenetrating every muscle, bone, nerve, artery and vein, as well as all of our internal organs including the heart, lungs, brain and spinal cord. 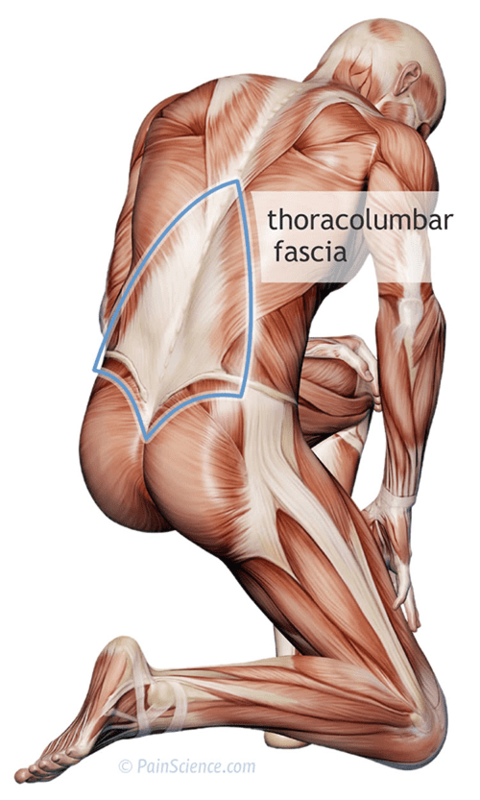 The most interesting aspect of the fascial system is that it is not just a system of separate coverings. It is actually one continuous structure that exists from head to toe without interruption. In this way you can begin to see that each part of the entire body is connected to every other part by the fascia, like the yarn in a sweater. It is largely responsible for the huge freedom of movement possessed by human beings. Collagen is the primary structural component of fascia. This resilient and ubiquitous protein has many functions as it travels uninterrupted through the body. Collagen protein is designed to primarily resist tensile stress and is the stuff of skin, tendons, and ligaments, as well as the coverings of muscle tissues and their different constituent parts. This material changes fibre density and arrangement based on structural stress, genetic makeup, and tissue memory. Fibroblasts are cells that make collagen. They actually exhibit the propensity to remember their function. This solid tissue is arranged in a way that allows maximum distribution of load with minimal framework. As light as it is, collagen is proportionally stronger than steel cable. This is part of the reason “stretching” and “rolling” do not actually affect it. In a healthy musculoskeletal system the fascia supports free movement of our muscles and bones through the huge variety of shapes and movement patterns that we see in sport, the performing arts (dance etc), and life in general. When this tissue becomes dysfunctional it is a force to be reckoned with, and can be a great cause of movement restriction and pain. A common example of a trigger point is felt while foam rolling your iliotibial (IT) band as it causes pain to radiate up to the hip or all the way down the leg to the ankle. When rolling or working on tight/sore muscles you will experience discomfort or pain. Think of it like the pain you get while stretching. It should be uncomfortable, but not unbearable, and when you are done it should feel better. Releasing trigger points helps to reestablish proper movement patterns and pain free movement, and ultimately, to enhance performance. Utilizing stretching alone is not always enough to release muscles tightness, which is why foam rollers have thrived on the mass market. Imagine a bungee cord with a knot tied into it and then envision stretching the cord. This creates tension, stretching the unknotted portion of the muscle and the attachment points. The knot, however, has remained unaltered. The deep compression of self-myofascial release allows normal blood flow to return and the restoration of healthy tissue. The body naturally wants to be healthy and strong, but sometimes an extra boost is needed to achieve optimal muscle and tissue health. WHAT CAUSES TRIGGER POINTS AND TIGHT MUSCLES? Both have the same contributing factors including training, flexibility, movement patterns, posture, nutrition, hydration, rest, stress, and other lifestyle factors. Your body learns to compensate for what you throw at it every day, but it’s possible to exceed our ability to recover via too many intense workouts, poor posture, and other lifestyle factors. It is always recommended to consult with your physician or physical therapist and receive approval before starting self-myofascial release. For most people you will be cleared immediately and your doctor will encourage the practice. Avoid rolling your lower back. To target these muscles, it´s recommended to use tennis or lacrosse balls. If you are having issues with your neck, refer these issues to an appropriate medical professional, as these areas they can be more sensitive and require more advanced attention. To foam roll properly, apply moderate pressure to a specific muscle or muscle group using the roller and your bodyweight. You should roll slowly, no more than one inch per second. When you find areas that are tight or painful, pause for several seconds and relax as much as possible. You should slowly start to feel if an area is too painful to apply direct pressure, shift the roller and apply pressure on the surrounding area and gradually work to loosen the entire area. The goal is to restore healthy muscles – it is not a pain tolerance test.